Some people find that changes in diet can help their psoriasis. However, these effects are not general; you have to determine what works best for you. Those with psoriasis are more liable to get cardiovascular disease or diabetes compared with the general population, so a healthy psoriasis diet plan containing plenty of vegetables and fruit, but low in sugar and fatty foods, is recommended to decrease the risk of getting these conditions. Weight loss has been linked with improvement of the symptoms of psoriasis. A scientific paper (Naldi, L. et al), published in the British Journal of Dermatology in 2014, reported the results of a controlled trial that involved 303 overweight or obese sufferers from psoriasis. Some were given diets and increased exercise so that they lost weight, and their symptoms were compared with a control group that did not undergo the weight loss programme. It was found that those who lost weight were more likely to see an improvement in their psoriasis symptoms. Since the study was a randomized controlled trial involving a relatively large number of people, it gives good evidence that weight loss can help alleviate the symptoms of psoriasis if you are overweight or obese. Losing weight involves being careful with what you eat and taking regular exercise. Avoid crash diets, which are seldom effective in the long term. Make sure you cut out as much sugar as possible from your psoriasis diet. This can be hidden in a huge variety of foods, including foods that seem ‘healthy’, such as fruit juice and ‘low fat’ meals. Eat plenty of vegetables, pulses, fruit and whole grains, such as brown rice and oatmeal. Eat fish, poultry or lean meats, but avoid all fatty meats such as burgers or sausages. Alcohol can trigger episodes of psoriasis, so it’s a good idea to reduce how much you drink if you suffer from this condition. Do consult a doctor if you find it hard to cut down. Drinking too much alcohol can have many adverse health effects, apart from triggering psoriasis. Some people find that cutting down on caffeine, such as tea and coffee, can help with the symptoms of psoriasis. The evidence is much less clear cut than it is for alcohol, so don’t be surprised if this does nothing for you. Some people find that cutting out dairy products can help their psoriasis. However, the effect is by no means general, so don’t be surprised if it doesn’t work for your psoriasis diet. Eating the spice turmeric has been recommended as beneficial to psoriasis sufferers. The main active substance in turmeric is the yellow compound curcumin, and is believed to be responsible for its activity against psoriasis, since it is known to have anti-inflammatory properties. Turmeric should not be applied directly to the skin. More scientific studies are needed to confirm whether or not turmeric is beneficial in a psoriasis diet. These have anti-inflammatory properties, and may be beneficial for psoriasis. They can be found in oily fish, flaxseeds and walnuts. 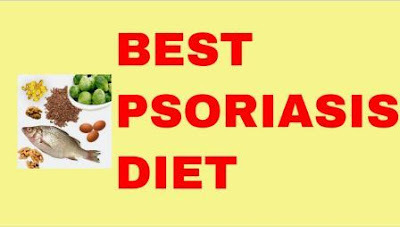 0 Response to "Psoriasis Diet Plan"